For just US$1,606.99 , buy Xiaomi MIJIA Laser Projector Global Version 5000 Lumens ALPD HD 4K Bluetooth Prejector with high quality and fast shipping worldwide. 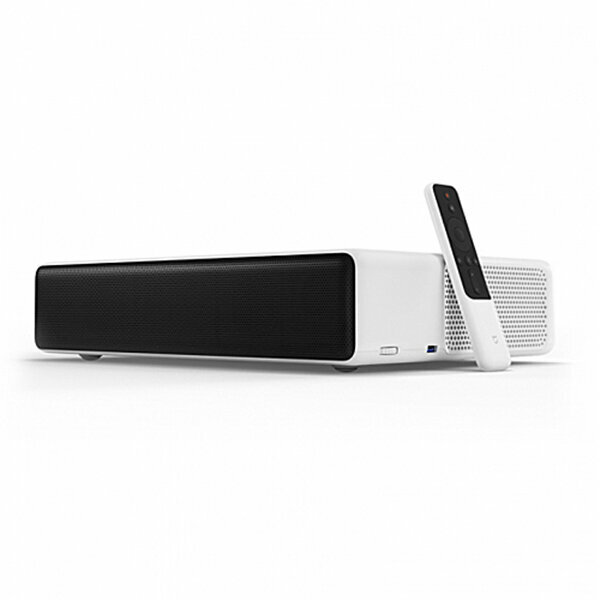 This is the world&apos;s first ultra-short projector with advanced laser display ( ALPD ) technology, which delivers up to 150 inches of full HD quality images in 50 centimeters, with product life up to 20,000 hours. To achieve user-friendly design goals, the high-tech product uses a compact, minimalist "box" design language, and carefully maintained the host and Bluetooth remote control design style consistency. In any corner of the room control the host, voice assistant quickly find programs and other interactive ways for the user to bring a new movie viewing experience. ●Tips: the Version is international version.